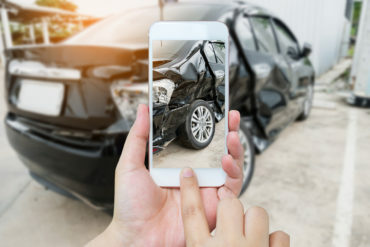 Motorists insured by Aviva Canada will no longer have to make their own first notice of loss (FNOL) to the carrier if they report the accident to a collision reporting centre. This is because Aviva Canada is rolling out an automatic FNOL service at all collision reporting centres in Ontario and Alberta. “The customer and accident details are sent directly to Aviva, eliminating the need for the customer to call to report their loss to us,” Bryant Vernon, chief claims officer of Aviva Canada, told Canadian Underwriter. Aviva has “a few more nuts and bolts to tighten for the centres in Alberta to be working the way we want them to work,” said Vernon. Once the data has been received and validated by Aviva, a claim number is returned to the (collision reporting centre’s) systems and the CRC agent or police officer is able to provide it to the customer. Aviva has a way of keeping brokers in the loop. Commenting on claims in general, Vernon said Aviva Canada automatically e-mails brokers any time a claim is opened for one of its customers. There are three collision reporting centres in Alberta (Grande Prairie, Lethbridge and Medicine Hat) and more than 30 in Ontario. Collision reporting centres are operated by police departments in partnership with Accident Support Services International (ASSI) Ltd. “ASSI is available to work with all insurance partners to facilitate the FNOL process and improve the flow of information, pictures and data to expedite the claims process and get drivers back to normal as quickly as possible,” ASSI said Jan. 28 in a release. i’m pretty sure Aviva has been doing this for many years. CRC reports are replete with errors and omissions. To save money by not having a live claims examiner involved in the initial report, Aviva’s new procedure risks handicapping management of the claim and any subsequent litigation.